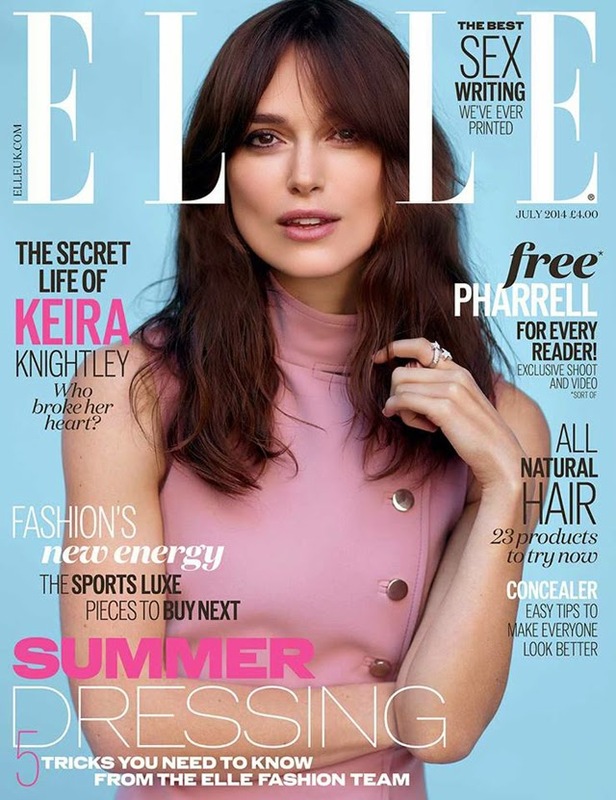 Keira Knightley covers July's Elle UK and, shock horror, she's NOT wearing Chanel. Why do we seem surprised? Well, over the past few years it seemed as if Chanel is all that Keira would wear. So it's a nice change of pace to see the starlet wearing pale pink Gucci for the Elle UK cover. Just in case you can't tell by the front cover vibe, the theme of the shoot for Keira is 70s glam. The fringe and easy-breezy hair give it away, but the side buttoned Gucci ensemble seals the deal. Inside the issue she is also seen wearing Saint Laurent, Dolce & Gabbana and Miu Miu. The issue hits newsstands on June 5th.